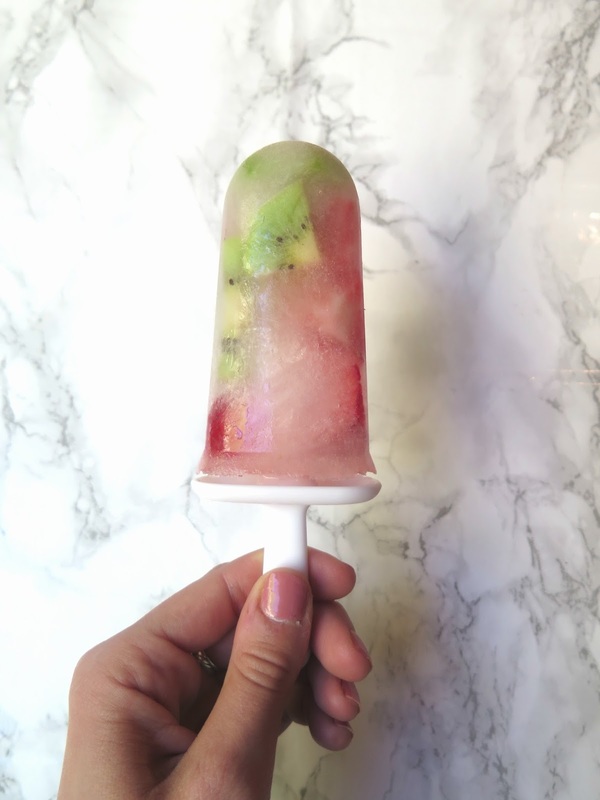 A delicious, fruit filled popsicle that's 100% natural and hydrating! 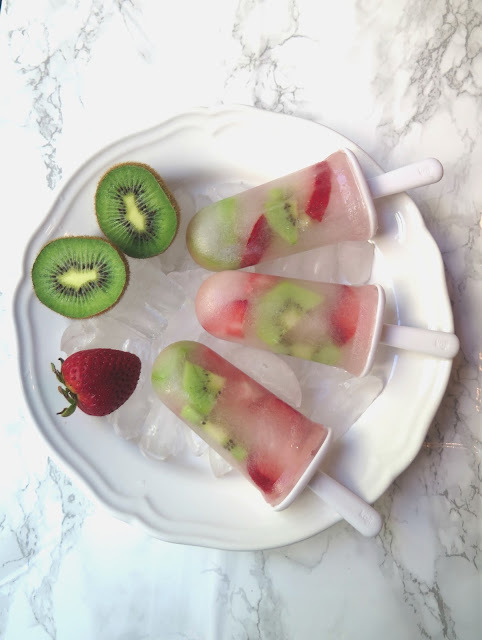 I love to make ice pops when the weather starts to heat up. It's not really that hot out here in Hoboken, NJ - but since I've been working out, I wanted to snack on something healthy after my workout. 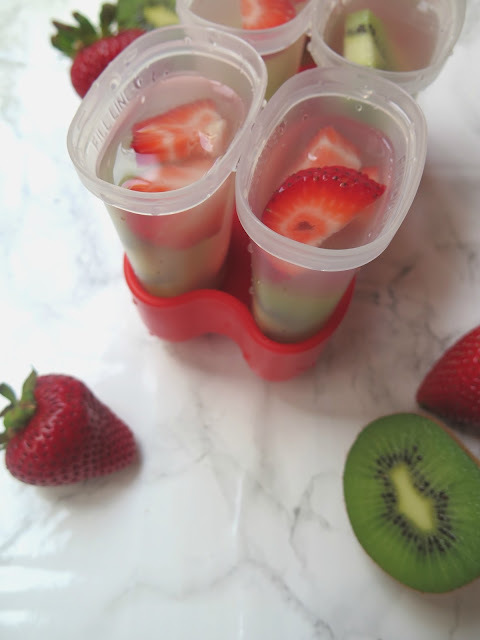 These pops are cool and refreshing and made with just a few ingredients! All you need is Coconut water and fruit. For this recipe, I decided to go with strawberry and Kiwi. You can add whatever fruit you would like to your pops. 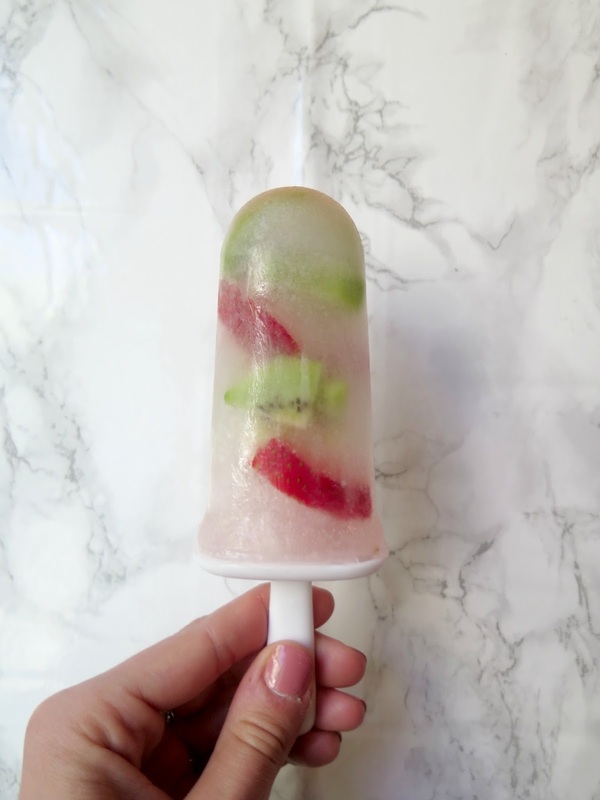 Pop the mold in the freezer for a couple hours and you are ready to enjoy your pops!